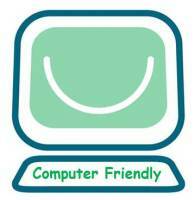 Computer Friendly is a local “not-for-profit” charity helping adults in St Albans and surrounding areas to feel included and less isolated by being more skilled on digital devices. Since 2002, unpaid friendly trainers and a helpful backup team have been delivering very low cost training (from just £10 and some are free!) firstly on computers and in more recent years also on how to get the best out of an iPad, Tablet or Smartphone.